So my water bottle cupboard was getting out of control. Somehow the bottles were multiplying faster than a bunch of wet Gremlins (only you 80’s kids will appreciate that reference). About 2 weeks ago I opened said cupboard up and was hit by a toppling bottle lid storm. 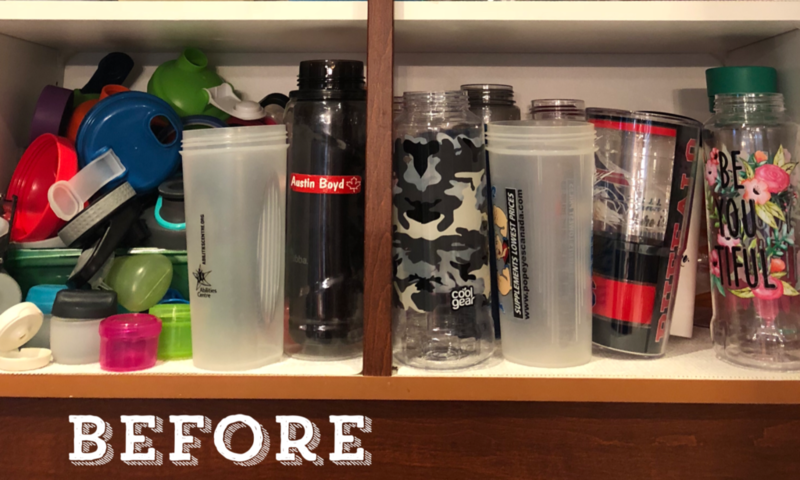 The kids had kindly unpacked the dishwasher (okay really they were told…) and they had thrown a bunch of lids onto the shelf that clearly had no more room in it! After cleaning up the mess, I sat down to lick my wounds by taking a minute to do what truly makes me happy, scroll through Pinterest! While looking at the most popular pins of the day, it was like the internet was staging a cupboard organization intervention. 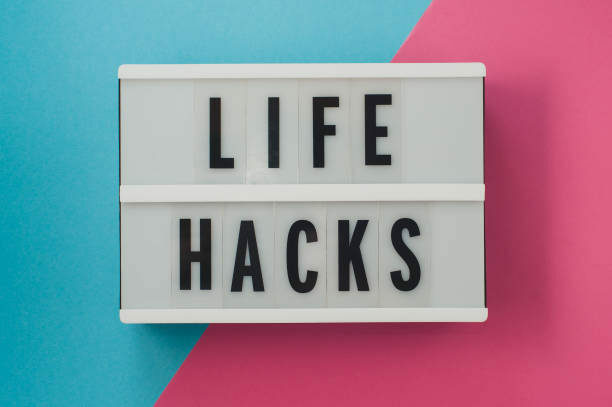 Low and be-hold the perfect “life hack” presented itself to me on a Pinterest platter! Some genius decided it would be a smart idea to take stackable wine racks and use them inside of their cupboard to neatly store their water & smoothie bottles! For all of you wine lovers out there this may seem sacrilegious, but let me tell you it is life changing!!! Now, finding stackable wine racks is not an easy feat. I first saw them on Amazon.ca and the cheapest price listed was $19.99 for a 3 bottle holder. 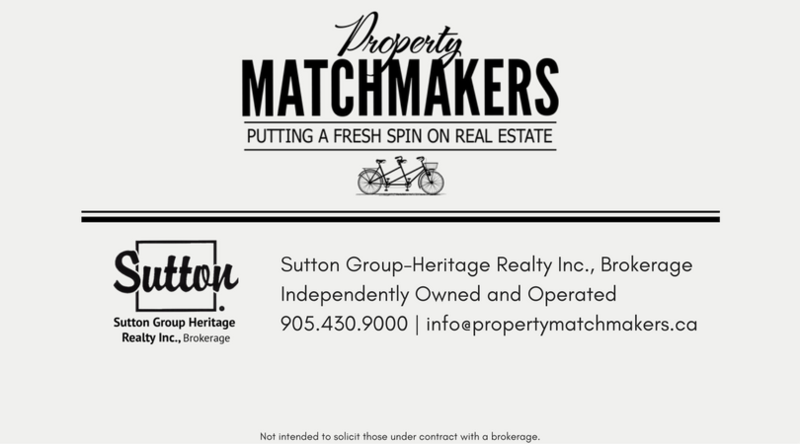 That seemed pricey to me for a plastic product, so I drove around to my local: Canadian Tire, Wal-Mart, HomeSense and Dollarama – of course no store had what I was looking for. So I bit the bullet and ordered 2 racks from Amazon. Kind of pricey for the intended purpose BUT after installing them into the bottle cupboard, it reinforced my belief that you shouldn’t put a price on happiness! This particular cupboard in my kitchen is no longer a jumbled mess. 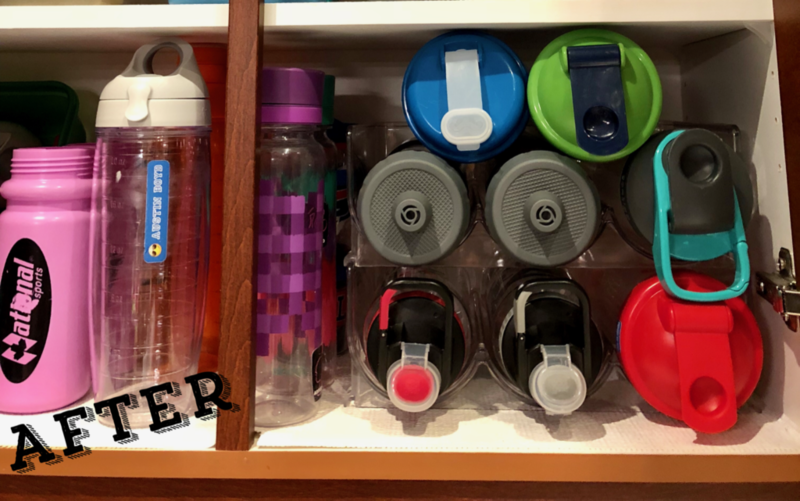 Most of my bottles are organized and my kids can easily find their personal bottles without having to empty the cupboard. I have just placed an order for 2 more racks and once they arrive my cupboard organization will be completed. Thanks Pinterest, you have helped me improve my life once again!